Ben Simmons, just a few years into his professional career, is already the biggest name in Australian sports. SYDNEY, Australia — One recent morning, a father and son walked along Harris Street, just up a hill from Sydney Harbor. The son held a basketball. Both wore replica NBA basketball jerseys. They'd just been breaking in the dad's new jersey, shooting hoops down the street on a playground court. "Quality time together, isn't it mate?'' Andrew Thompson said to his son, Joe. It was the father's birthday. Earlier that morning, the son presented dad with a 76ers jersey, featuring one of Australia's favorite exports. While father and son acknowledged the many solid Aussie players who have succeeded in the NBA, Thompson spoke of Ben Simmons — his last name across the back of the gifted jersey — being a cut above. "He's the first person we've had as far as someone who can take it to that next level — superstardom," Thompson said. Given the distance to his home country, Simmons might not quite understand the hero worship he has inspired, how a father and son can bond over his feats. The distance also means fans in Australia didn't grow up living and dying with the Sixers. Maybe it's a healthy distance; they're not always obsessing over whether Simmons has added confidence in his jump shot or the ramifications of dating a Jenner. The truth is, Simmons, at age 22, already is as important as any Australian playing an American team sport. Here, a youth holding a basketball on a street corner can simply point out: "He's done something which so many other good players couldn't do — he got a triple double his first game. Michael Jordan never did that." It actually was his fourth game, but the boy was right — Jordan had not done that. 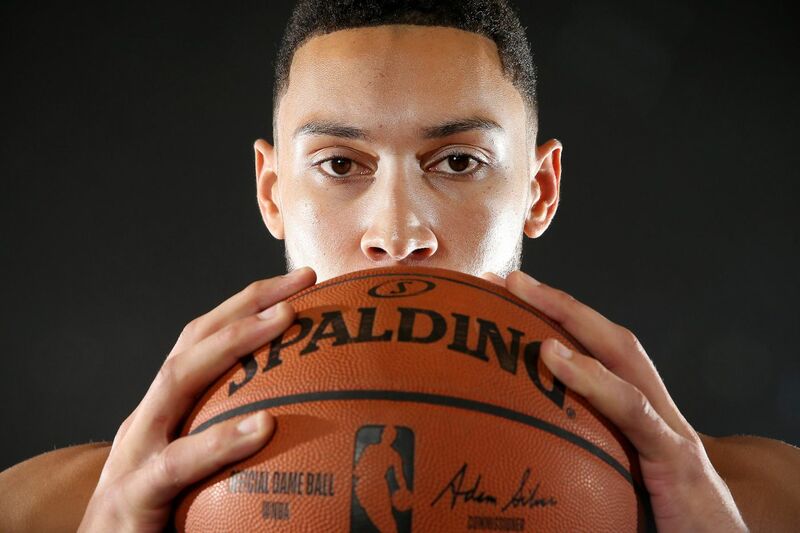 >> READ MORE: Could Ben Simmons' life be turned into an NBC comedy? It's not just rabid basketball fans in Australia relishing milestones. The sport's entire hierarchy speaks of the importance of Simmons to the future of the sport here. Andrew Gaze, the former Seton Hall star and Australian Olympic team captain, and now coach of the Sydney Kings professional team, speaks of what the sport could be like after LeBron James and today's top stars move on; how Simmons has every chance to get to that level. "Positioning him to be the next face of the sport globally," Gaze said. While Sixers center Joel Embiid might have similar ambitions, you won't easily find Embiid jerseys Down Under. A Rebel sporting-gear store across from the University of Sydney has Simmons jerseys on the same racks as LeBron's and Steph Curry's and Chris Paul's. Note that no other Australian names were on that rack. Andrew Bogut (now back with the Sydney Kings), Matthew Dellavedova (Milwaukee Bucks), and Patty Mills (San Antonio Spurs) have had significant NBA careers — all have helped their clubs win NBA titles — but as role players. As for Simmons' jersey sales last season, Rebel clerk Avi Sena said, "We got a couple of calls a day for them. We ran out of them. I had to refer people to other stores. I managed to put one away for myself. When they got in, I picked out an extra-large and put it away." Closer to the harbor at the Nike flagship store, the basketball gear is in the basement, reflecting the sport's relative position in Australia. Except that Simmons has risen above, with his gear prominently displayed on the main floor inside the front door. Native Australian Ben Simmons has his Sixers gear prominently displayed at a Nike store in Sydney. Simmons isn't from Sydney. He grew up north of Sydney in Newcastle, where his father played and coached, then in Melbourne. This isn't local pride — it's a national thing. Gaze said the talk is especially strong about what Simmons "can do in a green and gold jersey," teaming with other NBA Aussies such as Aron Baynes (Boston Celtics) and Joe Ingles (Utah Jazz) to give the country a shot at Olympic gold. "He's coming in with extraordinarily high expectations," Gaze said of a career arc still in its early stages. Gaze was a national face of the sport, played in five Olympics, and was the flag bearer for Australia when Sydney hosted the 2000 Summer Olympics. The National Basketball League's MVP trophy is named for him, since he won it seven times. Coincidentally, with the Sydney Kings, he leads a franchise once coached by Sixers coach Brett Brown, who was an assistant with the Melbourne Tigers while Gaze played for the team. Even though basketball trails rugby and Rules Football and cricket in local interest, Simmons is in a different category. In Sporting News' 2017 list of top Australian sportsmen 21 years and under, Simmons was just above a rugby player and two swimmers — No. 1 overall on the list. "Whilst the Aussie is navigating the combination of pressure, expectation, and performance, he carries himself with an air of quiet confidence that makes it seem like none of this is new," Benyam Kidane, basketball editor of NBA Australia, said in the piece. "This is exactly how it was supposed to go." 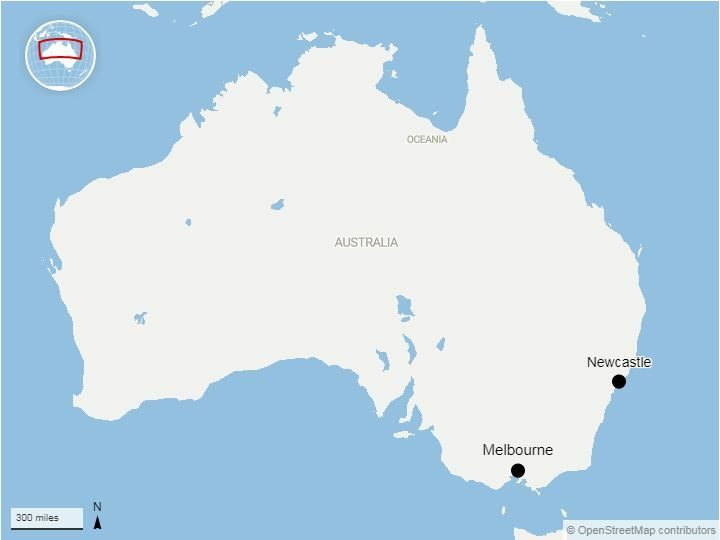 The Sixers guard grew up first north of Sydney in Newcastle as his father played and coached there, then moved to Melbourne. Expectations were always on Simmons, years before he left Australia in 2013 for high school in Florida, followed by a year at LSU. "He was always, always ahead of the curve,'' said Gaze, remembering Simmons playing on junior teams with Dante Exum, a year older, now with the Utah Jazz. Gaze, a key starter for Seton Hall when the Pirates made the 1989 NCAA title game, took an early interest in Simmons because, for the better part of a decade, he played for the Melbourne Tigers with Simmons' New York-born father, Dave. Gaze's father was their coach. "Very hard-nosed, very strong,'' Gaze said of Dave Simmons. "A five-man at 6-7, 6-6. Explosive, athletic." So, a different sort of player than the son, even if they share some traits. Which of Ben Simmons' traits might be considered Australian? Toughness, Gaze said immediately. "When he gets a knock, he gets on with it,'' Gaze said. That's what fans expect in Australia, Gaze added — "sometimes unrealistically." Gaze remembers seeing Simmons play Australian Rules Football when he was 12 or 13 and running into Simmons' mother, Julie, who had met Dave Simmons when she was on the Melbourne Tigers dance team. "She actually mentioned that she wasn't sure which sport Ben would end up playing,'' Gaze said. His growth toward 6-foot-10 helped take care of that. Australian fans following his progress were ready for his NBA arrival. Andrew Thompson changed his team to the 76ers two years ago, for the NBA2K video game, because the Sixers had taken Simmons first in the NBA draft, Thompson's son noted. "Then, it turned out [Simmons] was injured for the year,'' the son said. Still, the dad's team was the Sixers. The jersey idea for a birthday present was a natural. "Its first journey out,'' Thompson said of wearing it. "He gave it to me, we were like, 'We've got to play. Here I am, kitted up.' "
His son wore a Dwyane Wade Bulls jersey, since the Bulls had always been his team, owing to the greatness of Jordan before he was born. Joe admits to wavering, though. Giving his dad a Sixers jersey might not be enough. His next jersey might not say "Bulls." Ripples across oceans, moves made in Philadelphia, produce this adulation just off Sydney Harbor. "I love Ben Simmons,'' the boy said.